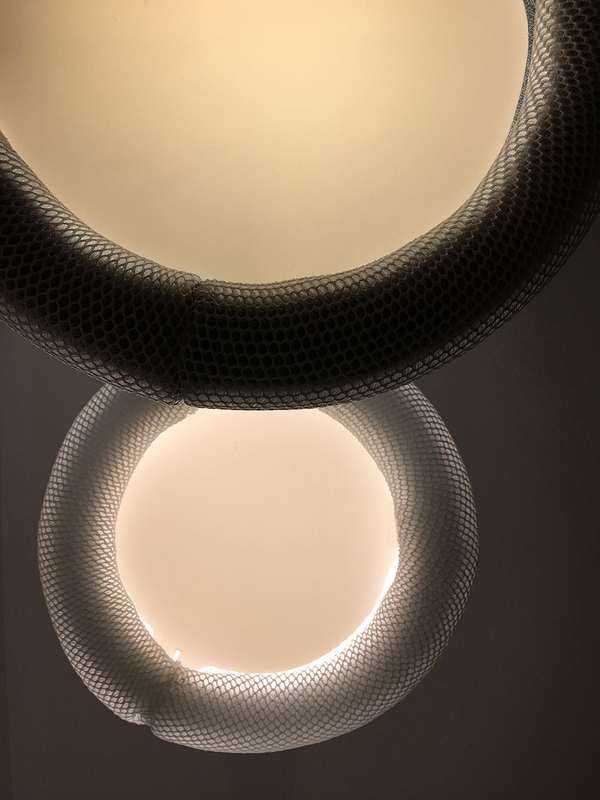 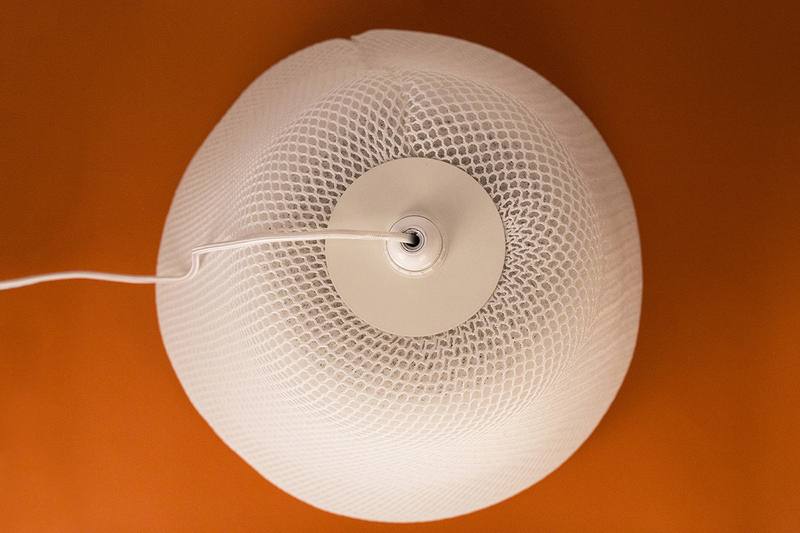 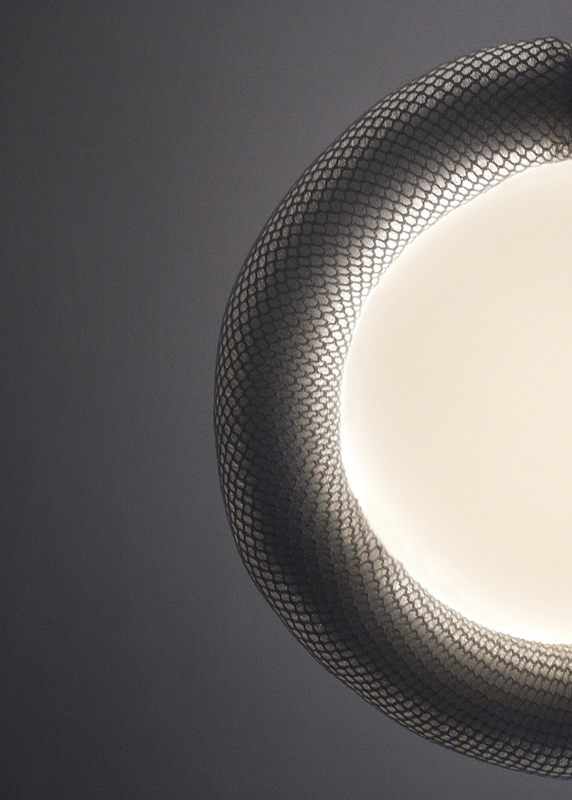 HOOP is a fabric light with a calming and soft shape that can be both suspended or on the floor. 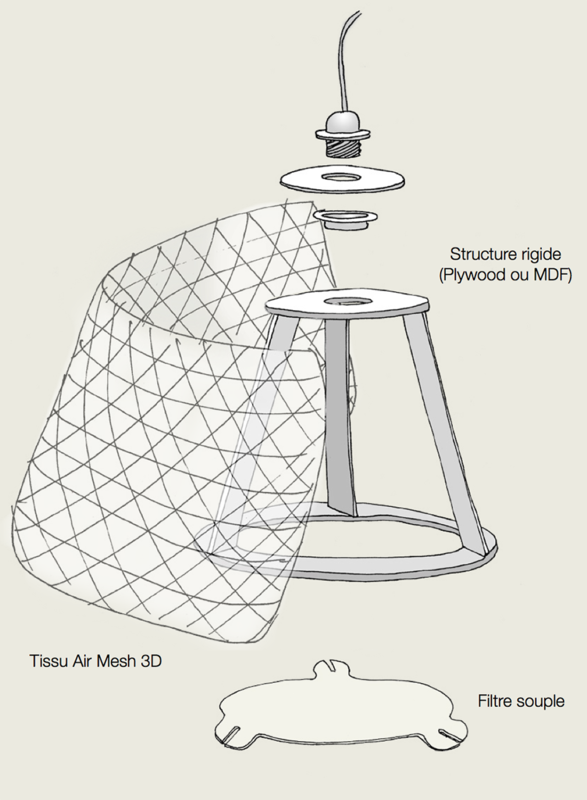 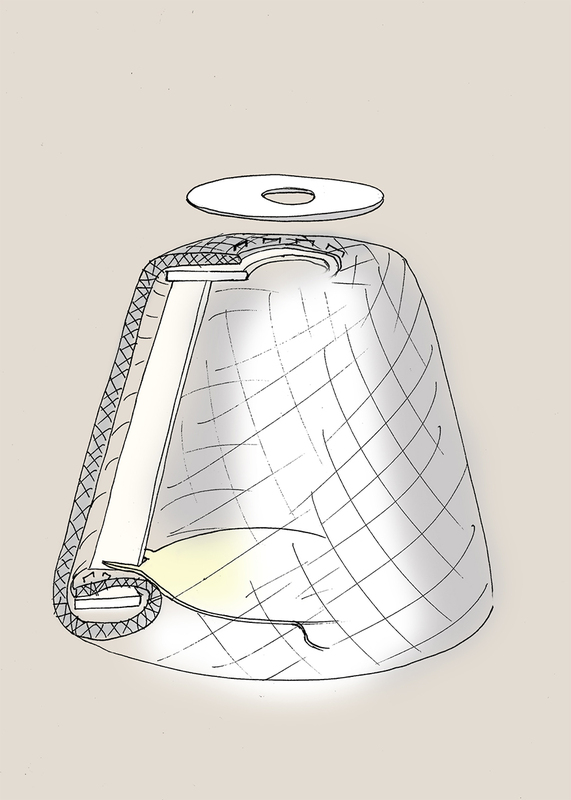 It is made of a single piece of Air Mesh fabric around a plywood frame. 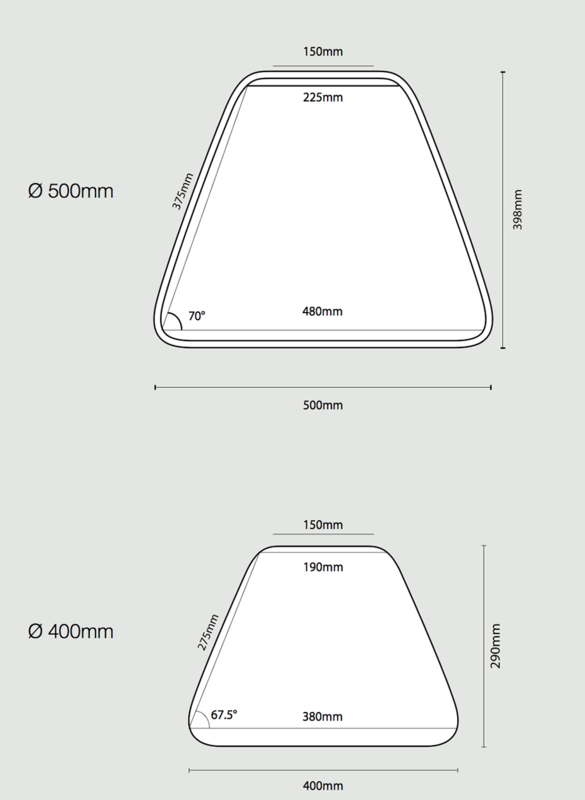 There is only one seam on the side and the rest of the edges are hidden. 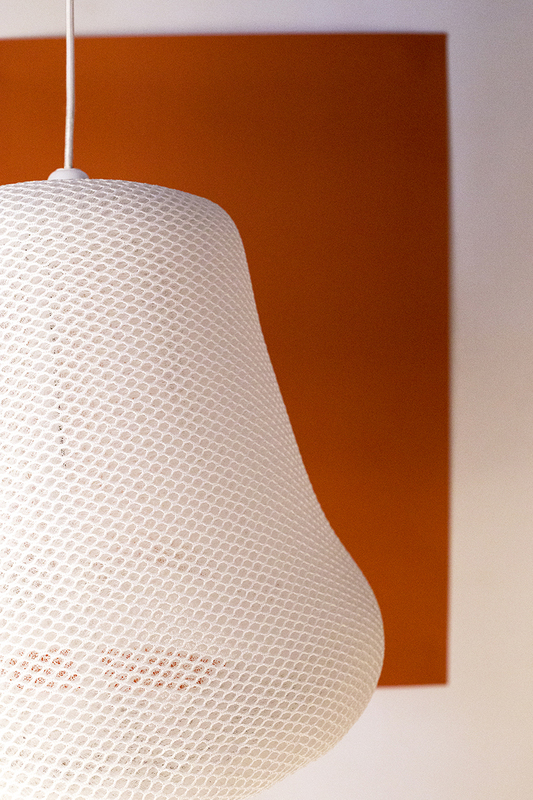 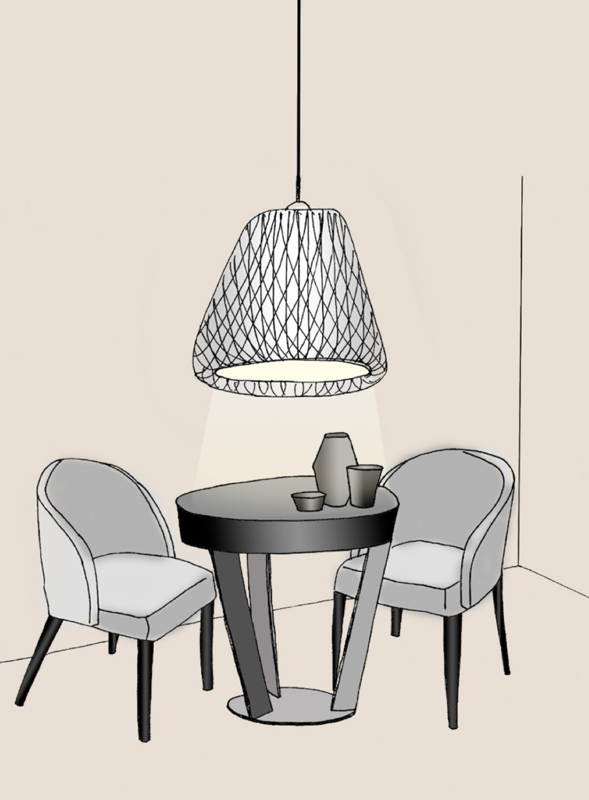 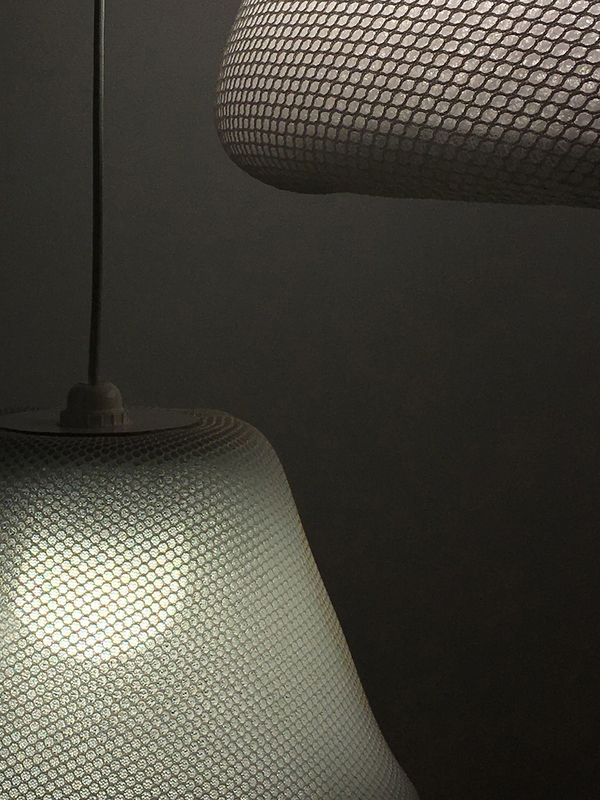 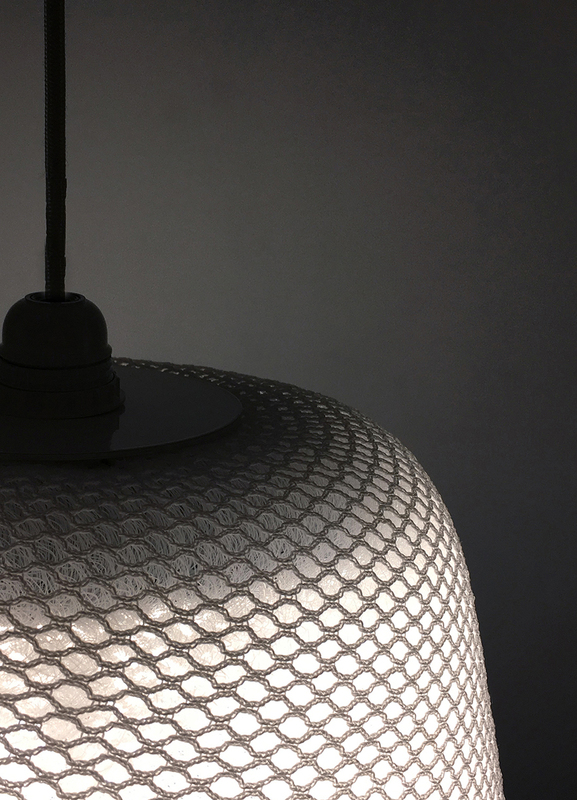 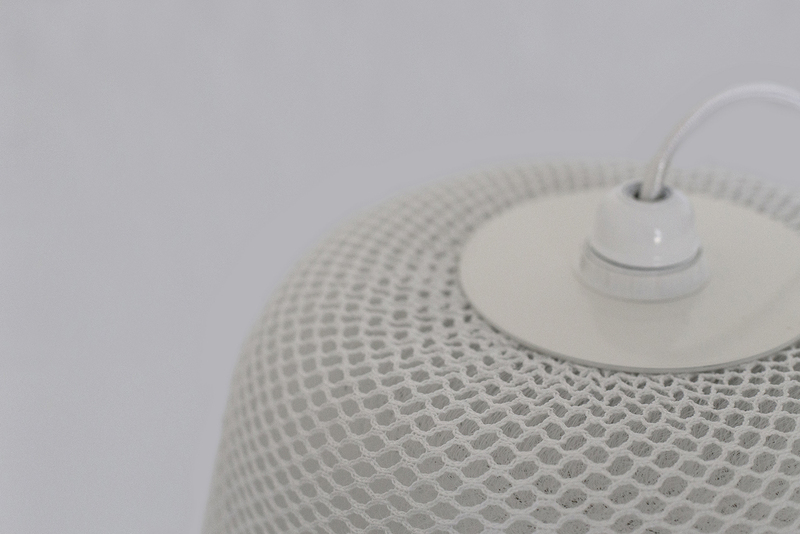 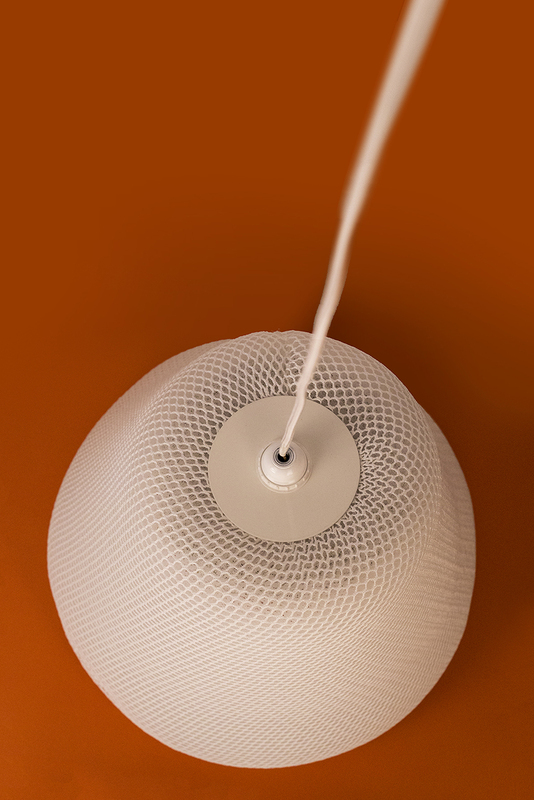 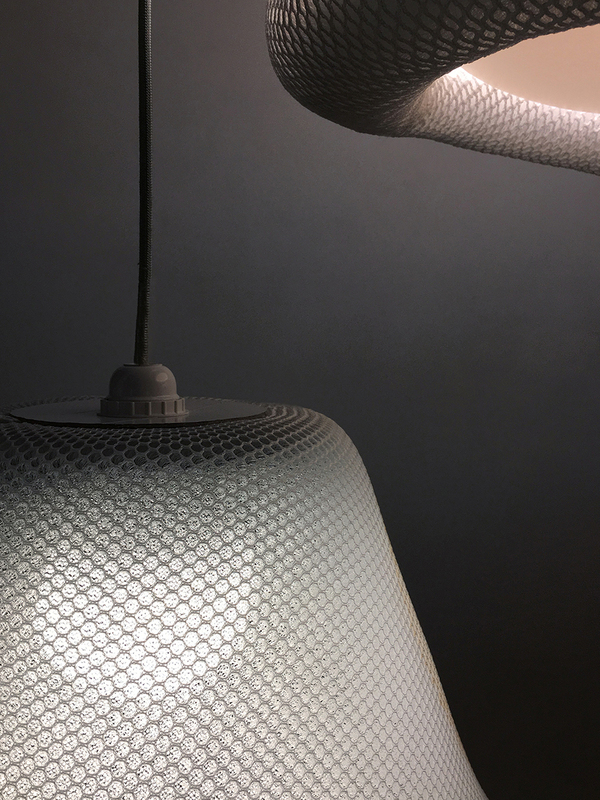 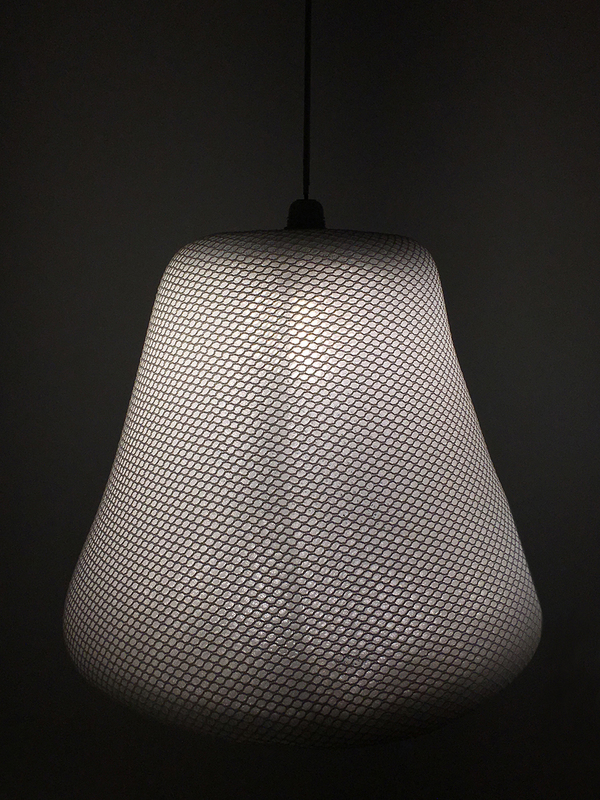 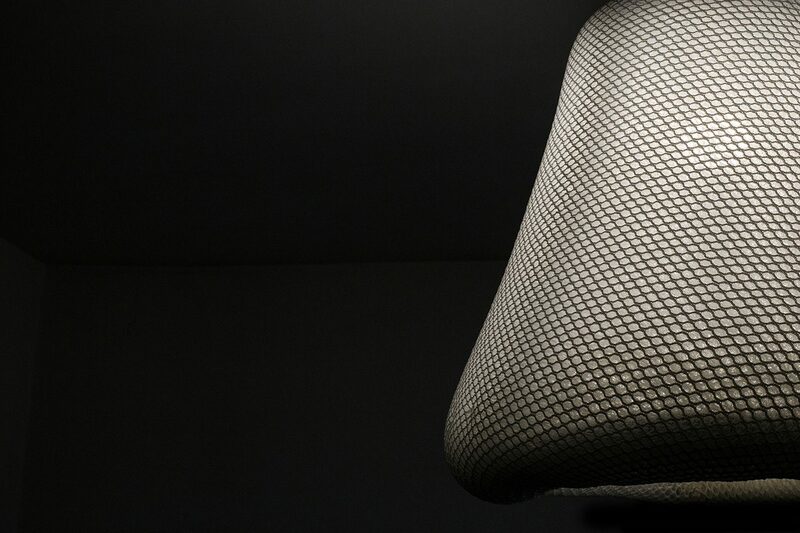 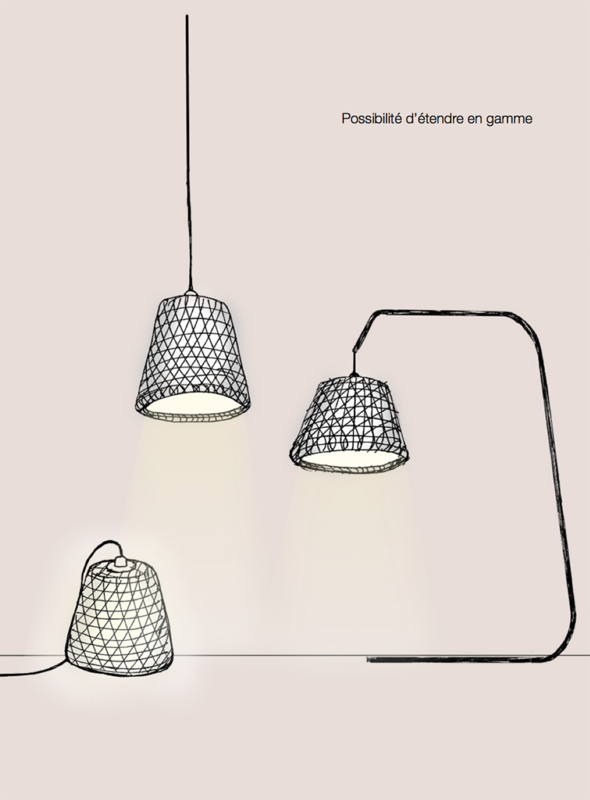 The Air Mesh fabric diffracts the light for an gentle ambiant illumination.